Source says Nancy Pelosi didn't object about waterboard usage because she wasn't personally briefed about it. This source says Pelosi didn't object when she learned that waterboarding was being used because she had not been personally briefed about it -- only her aide had been told. Pelosi admits attending one briefing in September 2002, but at a news conference last month, she was adamant that she did not know waterboarding was used. "At that or any other briefing, and that was the only briefing that I was briefed on in that regard, we were not -- I repeat, we were not -- told that waterboarding or any of these other enhanced interrogation methods were used, " Pelosi said on April 23. 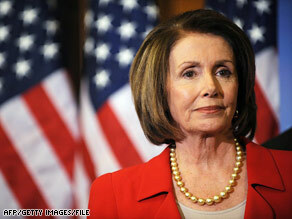 Some Republicans have called for Pelosi to testify at congressional hearings. The number two House Democrat -- Majority Leader Steny Hoyer, D-Maryland -- said Tuesday, "I think the facts need to get out" regarding what members of Congress had been told about harsh interrogations. But when asked whether Pelosi testifying would be appropriate, Hoyer did not directly answer the question, saying, "The issue is what was done. If you don't have the facts pounded on the table, they (Republicans) are pounding on the table, or they are pounding on Speaker Pelosi. Take your pick. But they are doing so as a distraction, as a distraction from what was done in this case."